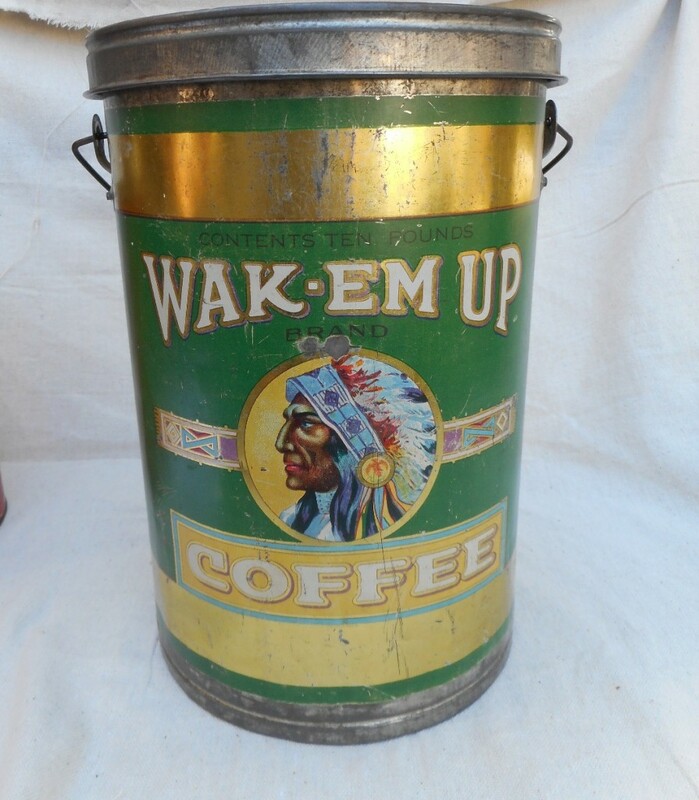 Big, fun Wake Em Up Coffee tin. Circa 1910, measures 13" tall with a 27" circumference. Anderson Ryan Coffee Co. out of Duluth, MN. Artist: Anderson Ryan Coffee Co. Size: 13" x 9" 13"